**Throughout the next few months we will host a series of artist talks, artist demos, and paint-outs! Hai-Ou Hou was born in Beijing China. There, she studied painting and ceramics at the prestigious National Academy of Fine Art and Design, where she received her B.A. After graduating, she taught painting and design at Hu Bei Fine Art Institute in Wu Han, China. Following her immigration to the United States, she received her M.F.A. from Towson State University. Hai-Ou’s oil paintings are complex both in layers of paint and in terms of subject matter and conceptual ideas. They result from her looking inward on herself rather than outward at nature. 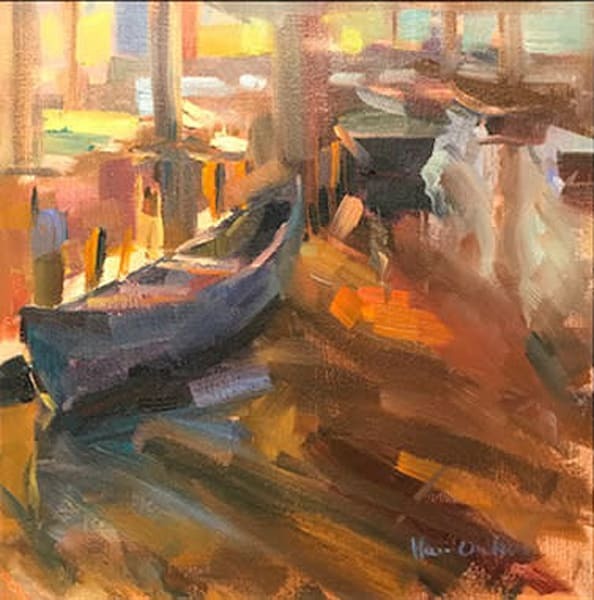 In recent years she has been creating plein air paintings that incorporate her reflection in the windows of public buildings and storefronts. The combination of reflections and clear views, interior lights and outdoor sunlight, real people and mannequins, sets up rich dichotomies that reflect her own experience and inner life. Hai-Ou has received numerous awards and acknowledgments for her landscape, and figurative oil paintings. 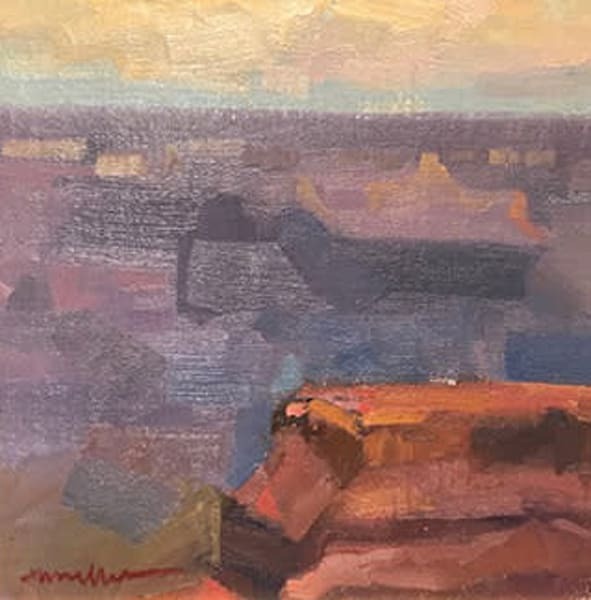 An award-winning plein air painter, she has traveled to plein air events from California to the East Coast and most recently garnered 2nd place at the prestigious Plein Air Easton 2017. Also a portrait artist, she designed a unique portrait style called Passport Portraits incorporating documents, seals, and personal memorabilia painted into the portrait to tell that person’s story of their journey to America. 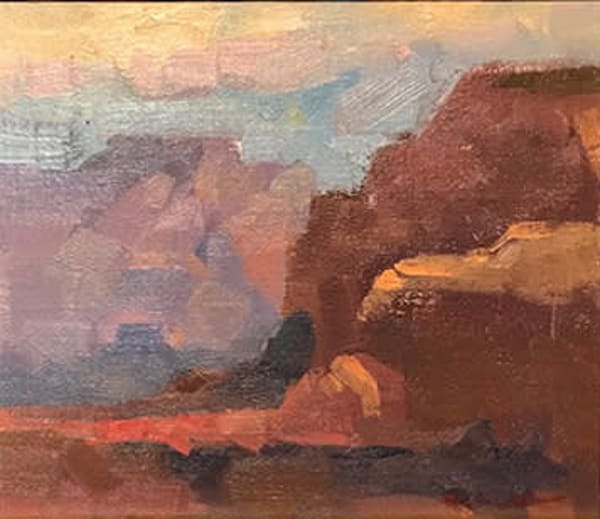 She is a member of Oil Painters of America, American Impressionist Society, American Women Artists, Washington Society of Landscape Painters and the Mid Atlantic Plein Air Painters Association. 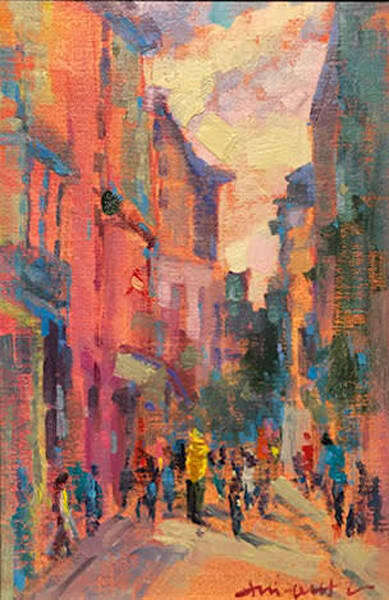 Hai-Ou’s work has been widely published and exhibited both nationally and internationally and hangs in many museum, corporate, and private collections. She also teaches a wide-range of classes and workshops at the Chesapeake Fine Art Studio, the school she established in Stevensville, MD.